Are you concerned about the water in your home? Would you like to ensure that it both smells good and tastes good, and is free of contaminants like iron and sulfur? If so, you may want to think about a water filtration system from Boelcke Heating and Air Conditioning. We can help you with your water filter needs, which means cleaner, healthier water for you and your family. When you work with us on your water filter needs, our skilled master plumbers will help you in a professional, effective manner. Boelcke Heating and Air Conditioning has been offering home comfort services for 50 years, and we’re pleased to now offer plumbing services. 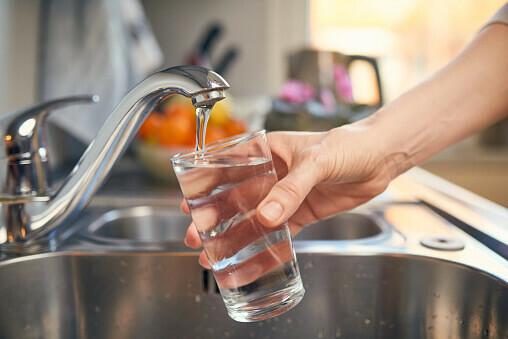 We want to help you with your water filtration needs so that you can enjoy clean, clear water that’s perfect for cooking, drinking and cleaning. We offer some of the best brands in the business and we only carry the finest water filtration supplies and appliances. Boelcke Heating and Air Conditioning is pleased to provide the water filter you need for the best quality home water. Boelcke Heating and Air Conditioning always considers our customers to be our top priority. We strive for your complete satisfaction with our products and services, and never consider a job done until you’re fully satisfied with the work we’ve done for you. Our aim is to provide you with the best water filtration solutions available. If you live in Stevensville, Coloma, St. Joseph or the surrounding areas and need water filtration for your home, give Boelcke Heating and Air Conditioning a call at (269) 429-9261. We’ll tell you about the different water filtration products and services we offer, and help you find the solution that best suits your needs.